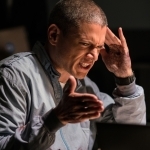 Prison Break: Resurrection 1.9 “Behind The Eyes” (Finale) review: The scene starts 6 minutes earlier than last week’s ending. We see Mikey drawing, A&W (Marina Benedict) in a Sara wig, and the scene lowers one floor to Jacob explaining himself to Sara who thinks he is a psychopath, “You sent him to Yemen to die.” Van Gogh (Steve Mouzakis) walks in and she tells him that it was Jacob who killed Harlan Gaines. Van Gogh tried to talk his partner down, but she shoots him instead. That was disappointing. I feel like there was hope for some real heroics from Van Gogh. I was rooting for him, but I guess there was a time crunch. After the father and son, Michael tells the boy to run, and he does… straight into Jacob’s arms. Sara knocks out A&W, but flips out when she sees her son get taken away. They find Lincoln shot in the car. T-Bag and Whip (Robert Knepper, Augustus Prew) have confused feelings about their newfound family. They meet up with Sara and Michael, and there the real reason for Michael reaching out to him came out (really smart). T-Bag was not being watched. He knows he has to kill Jacob, and he would do it for his son Whip to be free of Poseidon. This was a fantastic scene (as is anything that Knepper is in). Jacob is brainwashing Mikey, “I’ve made enemies defending America over the years.” He tells him Sara died and Michael is a traitor and a liar. Mikey believes him and yells at Michael on the phone, “Stay away from my dad, you hear! 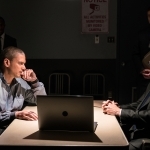 ?” Jacob has his techie trying to crack the code of the tattoos. He eventually gets in. 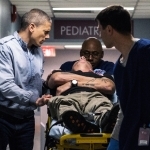 Sara goes to see Lincoln in the hospital, but he’s not there, busy sending Abruzzi to prison. She finds Van Gogh who wants to die. He can’t talk but helps her. Here is where you see everything come together – the eye tattoos recreate Jacob’s face to let Michael into the lair, while Jacob tours the zoo. He steals his hard drive, and says that he has the leverage. There is a showdown, and Whip dies tenderly in his father’s arms – happy. Michael recreated the Gaines murder framing Jacob, quite cleverly. Jacob and I are very impressed. It’s all set in a truck created by Michael’s secret weapon. They start punching each other because of course it is the final fight – Michael vs Poseidon. You know who wins. Jacob is sent to Fox River. A foot dangles from the top bunk – T-Bag’s. A happy ending for all – Lincoln and Sheba, Michael and Sara and Mikey. My feelings are torn. I am happy that mostly everybody is free and at peace, but I don’t want the show to end. This came together so cleverly – even the non-use or the shallow fleshing out of some of the characters is forgivable because of the limited amount of time for the story. This great finale had action and love and redemption and justice. This revival was a success. Thank you so much Scheuring, Wilmott, Miller, Purcell, and everyone for bringing it back. – I LOVED that the last scene was back in Fox River. There’s just something about that aerial view and the music. – Thank you Robert Knepper for being you. I love watching you on iZombie now. 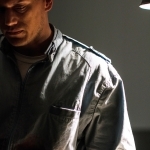 – Prison Break: Resurrection season 2 is Michael working for a legit government solving crimes and breaking people out. Get the band back together, Paul Scheuring! – Shipping Lincoln and Sheba. He finally found his match. Dangerous threats keep Michael and Lincoln fighting to protect Sara and Mike. 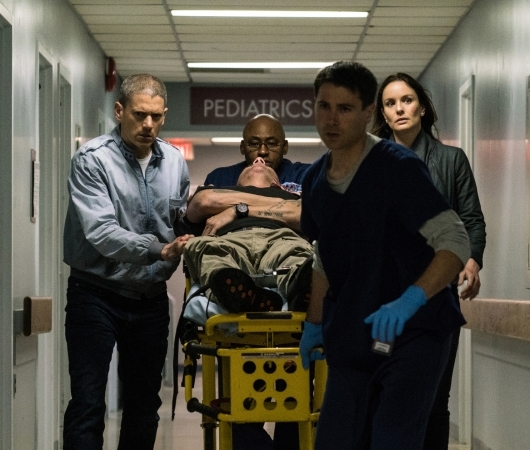 Meanwhile, Poseidon continues to try and outsmart Michael and the rest of the gang, which leads them to the ultimate showdown, and not everyone makes it out alive in the all-new “Behind The Eyes” season finale episode of PRISON BREAK airing Tuesday, May 30 (9:00-10:00 PM ET/PT) on FOX. Mike defends Jacob after Michael threatens his life. Jacob’s team decrypts one of Michael’s tattoos and Jacob isn’t pleased with what he hears. T-Bag wants to know how Michael really feels about him.